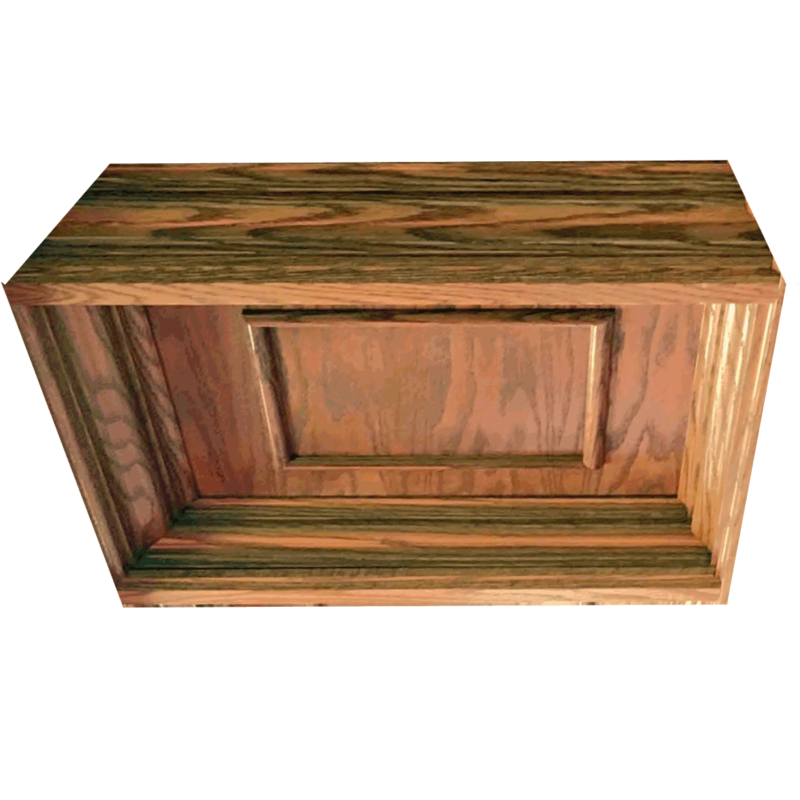 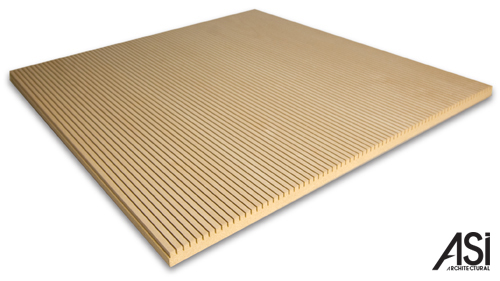 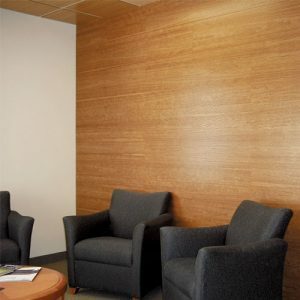 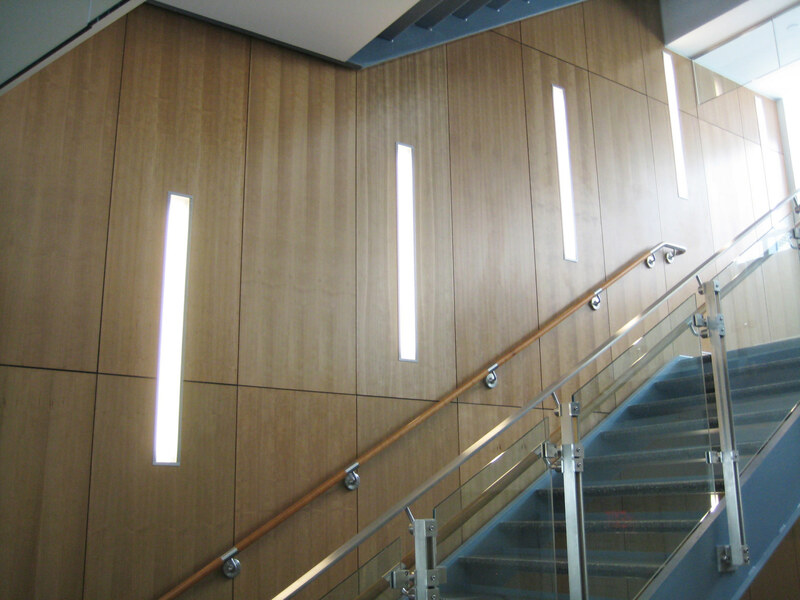 Audition acoustical wood panels and planks feature a wood veneer face and are available for ceiling and wall systems. 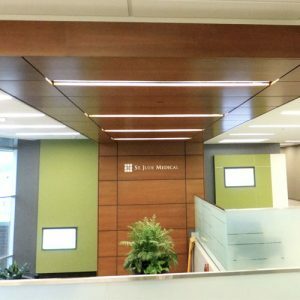 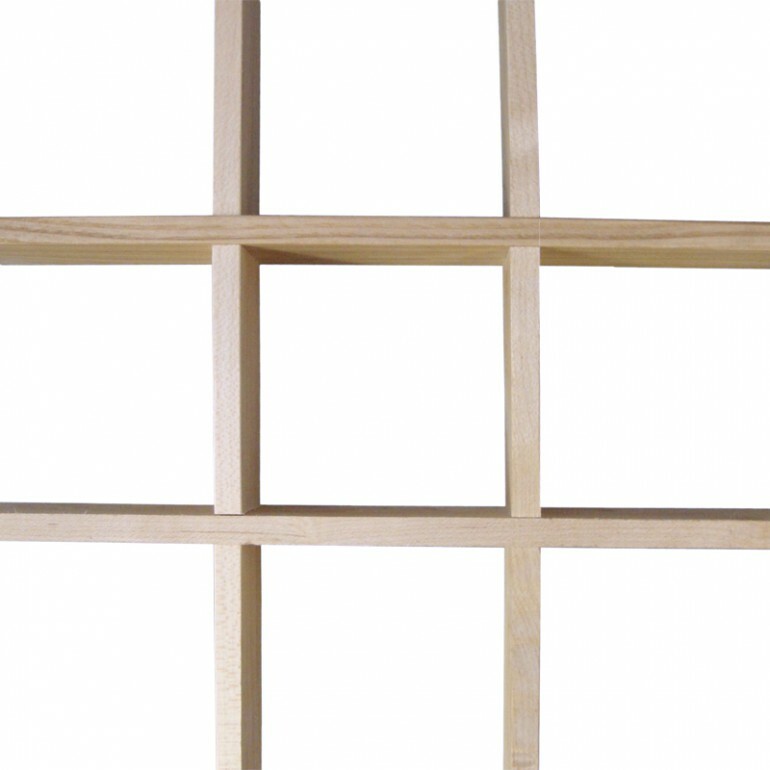 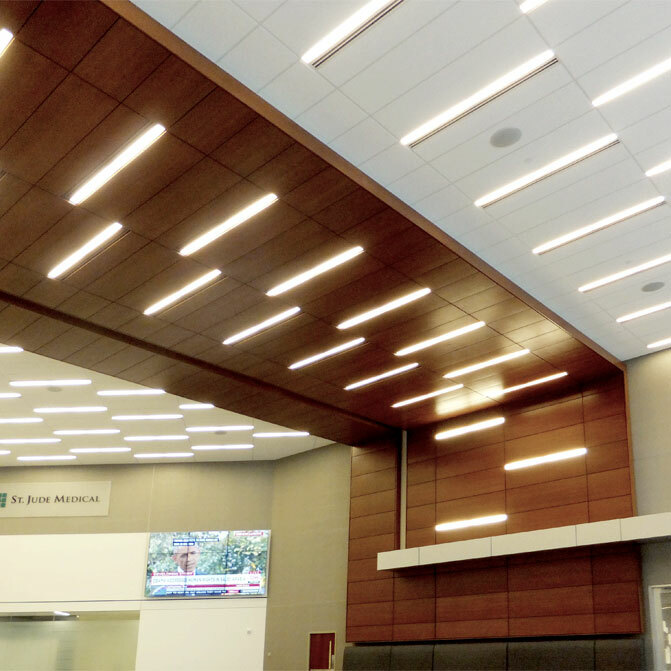 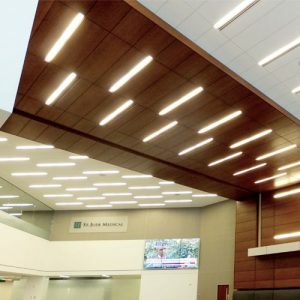 Our exclusive engineering provides a monolithic linear appearance with the benefits of acoustical absorption. 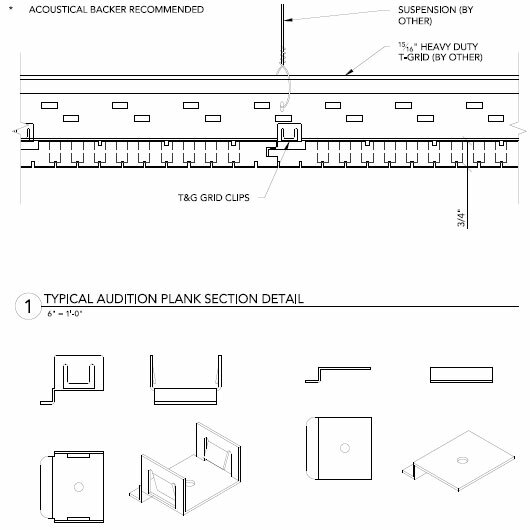 For added sound control, acoustical backers may be used. 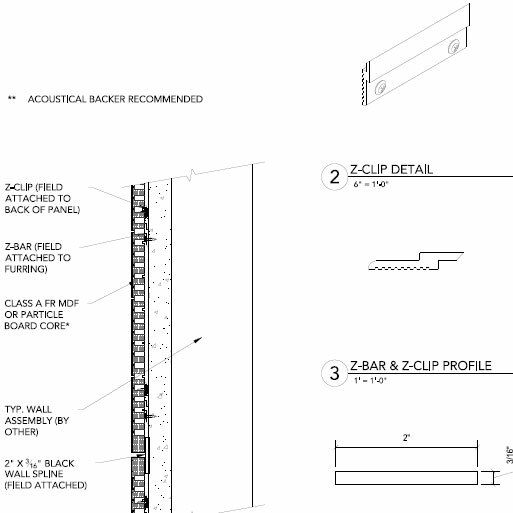 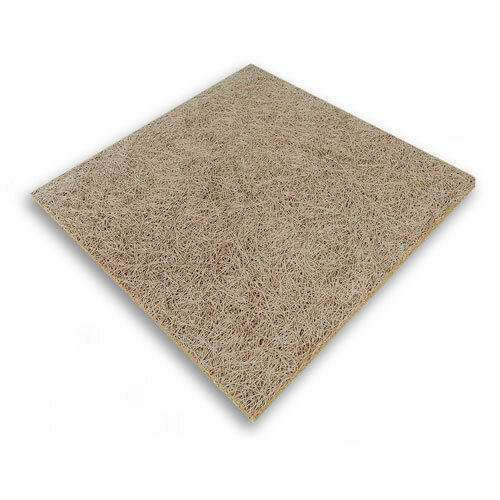 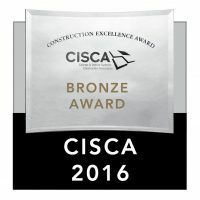 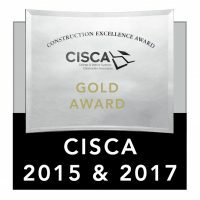 The result is superior quality, high performance, stylish acoustical panels and Tongue & Groove (T&G) planks that allow for easy field cutting, and are simple to install using the provided clips.